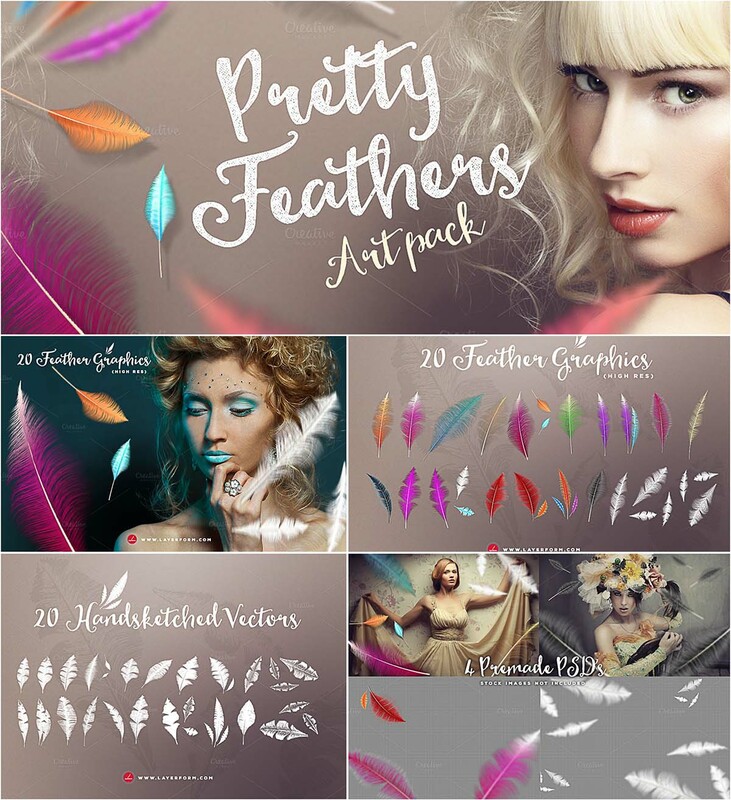 Introducing the pretty feathers artpack with 44 individually crafted feather graphics, ranging from coloured and textured feather PNG’s, to scaleable vector feather graphics and even 4 Premade PSD Scenes to drop your artwork straight into. File format: .psd, .ai, .eps for Photoshop or other vector software. 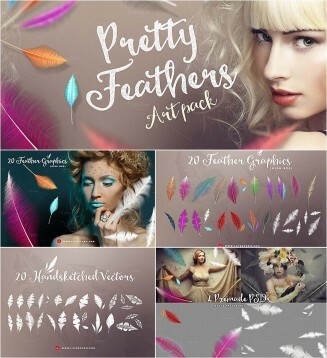 Tags: art, feather, photography, psd.